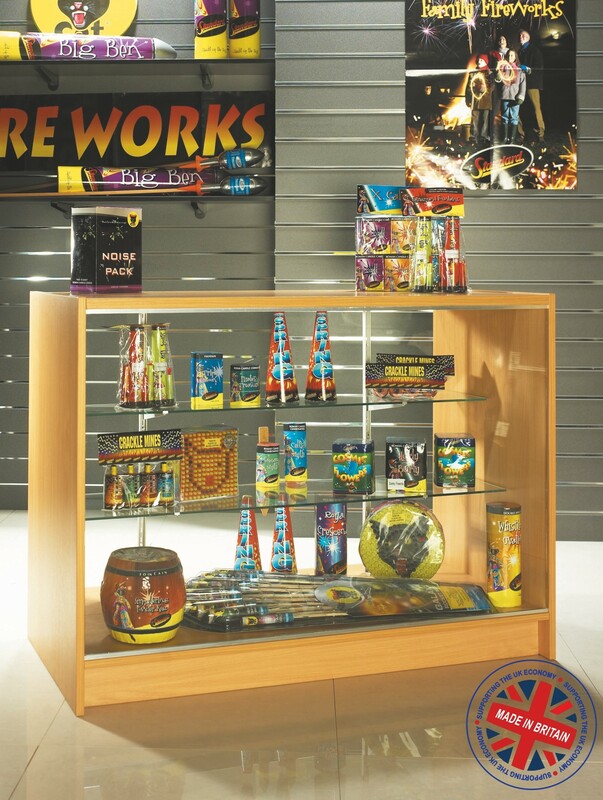 | Full Vision Solid Top Glass Shop Counter / Full Vision Solid Top Glass Shop Counter / Retail Display Counter Cabinet - 6ft (180cm) wide. | Extra heavy duty melamine face, and finished with matching or contrasting heat sealed PVC edging. | Toughened Glass for added safety and legal compliance. 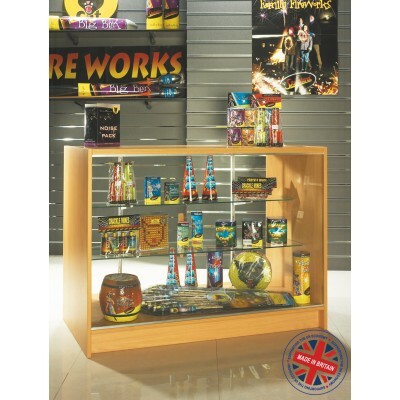 | Two adjustable glass shelves for display. | Solid top, making it highly durable. Quality matters to your customer, and it reflects in your displays - why compromise? | Optional Solid Doors and lock available.